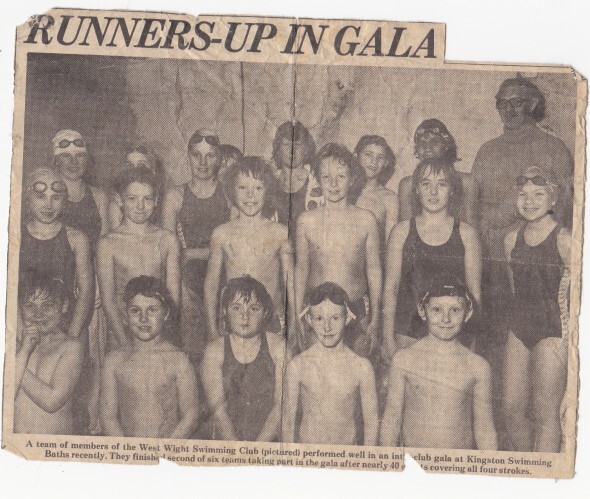 Even before we had our own pool and were still training in various hotel and holiday camp pools we were attracting attention by starting to compete on the mainland. Pictured are: Sharon Rice, Izzy Griffin (? 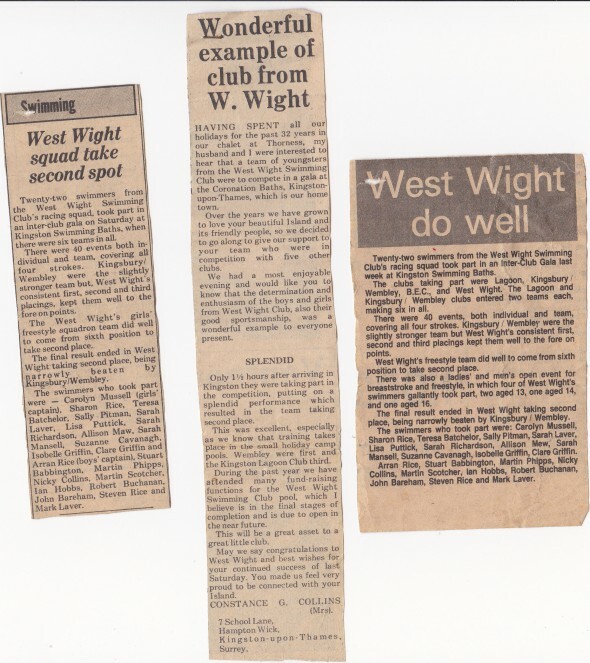 ), Clare Griffin, Theresa Batchelor, Aaron Rice, Stuart Babbington, Dave Rice (coach), Sally Pitman, Steve Rice, Mark Laver, Martin Scotcher, Sarah Mansell, Susanah Cavanagh, Ian Hobbs, Nick Collins, ? Mansell, John Bareham, Paul Bareham. This entry was posted on Tuesday, April 19th, 2016 at 7:40 am. It is filed under The People and tagged with west Wight swimming Club. You can follow any responses to this entry through the RSS 2.0 feed.